Three of the four parcels of lands known as the “Quads,” and located at the intersection of Apex Road and Palmer Boulevard are intended for sale by Sarasota County. Through some process which we are still working to fully understand, these parcels were identified as “Surplus Lands,” and place on a list of properties which Sarasota County could sell. Since these parcels are designated as part of the Celery Fields on numerous maps and County publications, including this Field Guide to Conservation Lands (see page numbered 18), questions have been raised as to the appropriateness of the “Surplus Lands” designation. Sarasota County appears to be seeking input for possible changes to the Critical Area Plan for these properties, including possible future rezoning. We are calling upon Sarasota County to revisit its process for determining “Surplus Lands” status for Public Property, and asking the County to reverse this designation for the Celery Fields properties, pending an open, public discussion as to the best use of these properties. A Public Workshop has been proposed for some time in 2019. Watch this space for updates about this and other upcoming events, or better yet: sign up for email alerts so you don’t miss anything! Local developer, James Gabbert, plans to combine 3 adjoining properties in order to build a facility to process construction and demolition debris and yard waste with concrete crushers, wood chippers, and dozens of inbound and outbound truckloads per day of waste. The combined properties will be bigger than 16 football fields and will operate 6 days per week, starting at 7AM. View details about Rezone Petition 17-01: Recycling Center on our wiki . This petition has made its way through the Sarasota County Planning Department and was considered by the Sarasota County Planning Commission in a Public Hearing on June 1, 2017 at 5:00PM. After many hours of public testimony, the Sarasota County Planning Commission voted unanimously to recommend denial of the petition. The Sarasota County Board of County Commissioners set aside an entire day on Wednesday, August 23rd, 2017, to hear the petition as well as public testimony. In a 3-2 vote that concluded a nearly nine-hour long hearing, the County Commission voted to deny this petition. Along with other local groups, we helped organize several public rallies to voice opposition to this threat. The Restaurant Depot project includes a 60,000 square foot building just a few feet from the western boundary of the Celery Fields Park. The proposed development is located on the northwest corner of Apex Road & Palmer Boulevard, on the property that currently includes the Sarasota County Fire Department station. 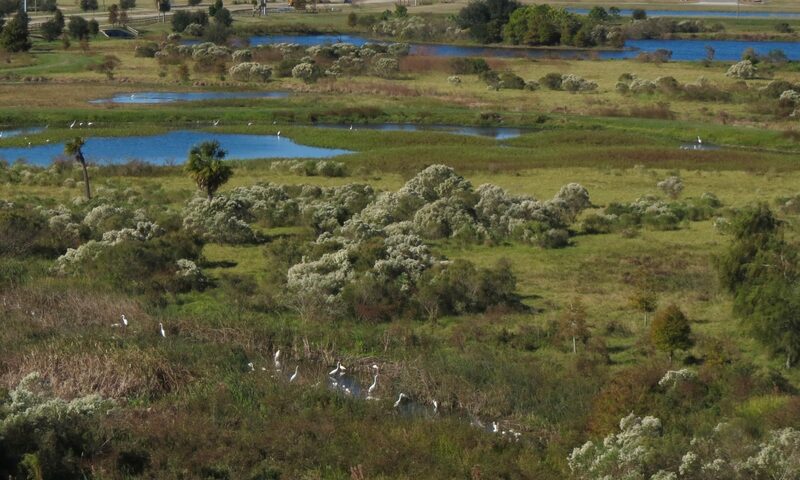 View details about Rezone Petition 16-33: Restaurant Depot on the Celery Fields wiki. This project was recommended for approval by the Sarasota County Planning Commission. The petition was on the agenda for the Sarasota County Commission meeting on Wednesday, March 1, 2017 at 9:00am, but Commissioners tabled it at that time due to legal technicalities related to the applicant’s failure to properly disclose ownership interests. During the March 21, 2017 meeting of the Board of Sarasota County Commissioners, it was announced that the developer had exercised its right to terminate its contract, citing its failure to receive the required approval for rezoning within its contingency time period. Along with other local groups, we helped organize a protest on February 25th at 11am. The protest was held at Apex Road & Palmer Boulevard. Check out our Facebook album for photos of some of the more than 200 protesters who came out to show how they feel about this petition. Watch this space for updates about other upcoming events, or better yet: sign up for email alerts so you don’t miss anything!